We met POMINI’s CEO, Otto Huth, who outlined the company’s innovations and strategies. Pomini was founded by Luigi Pomini in 1886 as a workshop specialising in the manufacture of transmission gear components. In 1910 Pomini began to produce high-speed reduction gears, then in 1948 it was the turn of equipment for the iron and steel industry and of the first plastic and rubber processing machinery, as the company became a licensee of Bridge, Farrel and Mc Neil (rubber extruders, mixing machines and vulcanising presses). In particular, machines for rubber processing ranged from hot feed extruders with direct feeding from the batch mixer – with pelletising dies and roller dies – to cold feed extruders of the Pin Extruder type. After some time, the production of plastic processing machinery was broadened to include continuous mixers and extruders for the petrochemical industry (with die-face cutters of the underwater type), hot feed single-screw extruders, co-rotating twin-screw extruders with die-face cutters, of the underwater type, with a liquid ring, or air extruders with spaghetti dies, all of which were employed for the manufacture of masters and compounds. What is POMINI Rubber & Plastics today? POMINI Rubber & Plastics is a technologically advanced, independent Italian company belonging to HF Mixing Group, which was the result of the merger in 2011 with two other leading companies in the field of machines for the compounding and extrusion of plastics and semi-finished rubber products, namely the German company Harburg Freudenberger and the Anglo-American company Farrel. Being part of this group gave the advantage of closer focussing on products and markets. Member companies were entrusted with the production of a single item, as a result of an engineering optimisation process carried out on a common basis through “best of best” selections. Intermeshing batch mixers of the Intermix type are produced in Germany, tangential batch mixers of the Banbury type in the United Kingdom, continuous mixers in the United States, while conical extruders of the Convex type are manufactured in Italy. This was accomplished with the existing personnel, having the workers in each factory concentrate on a specific product: the top products for the Group. Being a group enabled these companies to take advantage of synergies and share commercial teams and technical know-how, with the result of greater attention given to Clients. On which markets are you most active? HF Mixing Group is active at worldwide level with an evenly distributed commercial network. The commercial team of POMINI Rubber & Plastics deals with the group product portfolio and is especially active in market areas such as Italy, the Middle East, Japan and Korea, Greece, Slovenia, Croatia and Argentina. Besides area subdivisions, each Sales Manager of HF Mixing Group is personally dedicated to a number of Key Clients at worldwide level; the Italian team deals with Italian, Korean, Japanese and American international groups. This evolution within HF Mixing Group enabled us to increase our presence and visibility and made us more effective in withstanding local and global competition. HF Mixing Group (including POMINI Rubber & Plastics) can boast a very significant presence in the sector of mixing machines for the tyre industry, which has always ranked among our top priorities, as well as in the field of mixing machines for technical rubber articles, where our market share is steadily widening. 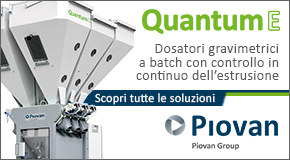 Our automation systems, as a consequence of the “best of best” optimisation process, have constantly developed since the creation of the Group; our market share in the sector of continuous mixers for plastic concentrates has also broadened. Could you please outline your professional history? I started my career working on the customer’s side; I used to produce technical rubber materials in Switzerland. 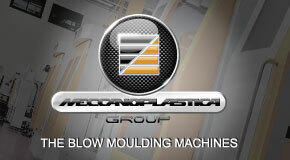 I joined HF Mixing Group a year ago and I have been responsible for POMINI Rubber & Plastics since last September. How was your first year at Pomini? The difference between Germany and Italy is sometimes underestimated; during my previous job, I had the feeling the same applies to Germany versus Switzerland. Italians are very broad-minded, and this made it easy for me to get used to them. I really like their different way of cooperating and relating to each other. Germans are more direct, Italians tend to stick more to details. 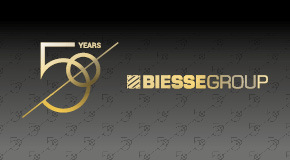 In general, I appreciated the very good organisation of this company; it was a pleasure for me to join it. My aim is to modernise tradition. The most important thing is to give more responsibility to each employee. This cannot be achieved in a few months. It’s a long-term job. 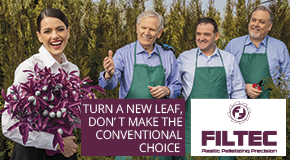 How are you preparing for Plast 2015? We will have a stand in keeping with our style, neither too “aggressive” nor “arrogant”. We will show our Clients all new products launched by our Group, and we will discuss about rubber and plastic mixing and extrusion. 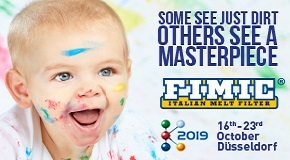 Our stand will be on the border between the area dedicated to rubber and the area dedicated to plastics; it will be easily recognisable from the two group logos: HF Mixing Group and FARREL POMINI. We hope this exhibition will have an international character, also thanks to the fact that it will be held at the same time as EXPO 2015, now at the door. What will be your key products? Our key product will be the conical extruder Convex. This product has a very good market share in Europe; we offer a sophisticated and efficient technology, with a modular design devised to satisfy customers’ needs. Its modular features enable us to improve quality and optimise production. Another product on display will be the Tandem Mixing System, our biggest change, almost a revolution. Originally created for the tyre industry, where it is significantly expanding, we are now trying to launch it in the field of technical articles. The underlying technology is based on two mixers working in series which perform mixing in parallel phases, thus avoiding intermediate stages. The process is therefore more continuous, efficient and reliable. The amount of time that elapses between the feeding of raw materials and the unloading of the processed material is dramatically reduced, a feeding system for the second mixer is not needed and cooling is only started when it is really required. As a final result, customers save money: less time, less room and fewer feeding systems are needed. I’m sure we will soon see a large development in the use of this system. For plastic mixing, we will display the continuous mixer Compact Processor type, Series II, in its most recent standard version and its evolution, CPXL, with two-stage rotors. I cannot hide that we do have some uncertainties. Some companies expect there will be a shrinkage in business activity. From our point of view, despite these uncertainties, we can still count on a series of important investment programmes and new projects.